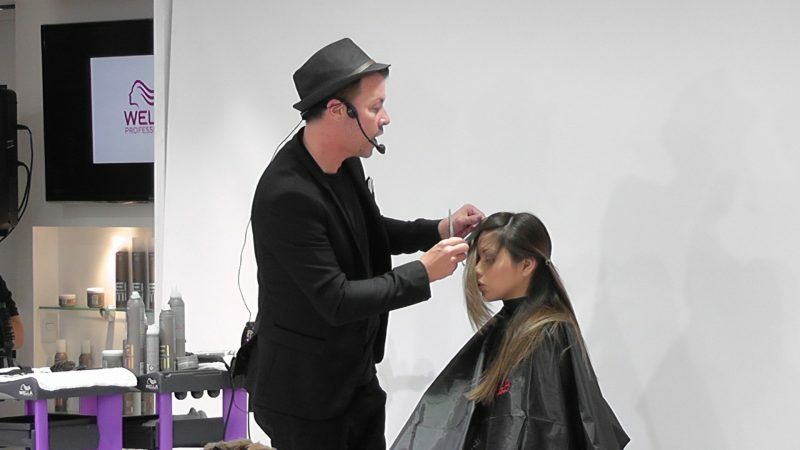 British Hairdresser of the Year Darren Ambrose travelled to Mexico to teach new concepts and techniques for Wella Professionals. In a hectic schedule of presentations, Darren created 5 models for the Eimi product brand; 3 for an Icons presentation; 5 to show trends and a further 7 models for a Gain event – a show for existing and potential Wella clients to see the breadth of the brand. Darren said, “Mexico was so inspiring, the delegates were brilliant to teach, and we’re hoping to now run the same programme in Rio de Janeiro. I was asked to go with Martina Brand and Frank Luffler from Wella to do a train the trainer event, where 30-40 head studio educators fly in from South American regions to be educated in the new trends for a/w 2016 and for Eimi and the Couture Colour concept. We educated them through the services, colour portfolios, styling techniques, and new Wella hair language.